The Cavalry is dedicated to educating our clients in the leading carpet and upholstery cleaning procedures. We are happy to assist you in providing the safest, most reliable methods of cleaning your carpet, upholstery, and fine textiles. We service Southern Utah including: St. George, Ivins, Hurricane & Washington. When you need affordable carpet care in St. George, UT & surrounding areas - call in The Cavalry. We offer a vast array of residential & commercial cleaning services in St. George, UT and surrounding areas all guaranteed to be the best carpet cleaning you have ever received, along with the best service you have ever experienced. Call us now at (435) 656-2300 and ask for a free in home carpet inspection. One of our fully trained carpet cleaning technicians will come to your home and offer you a free proposal with absolutely no obligation or pressure to order. At The Cavalry, we bring clean back to your carpets in St. George with our stain removal. With a little power cleaning and a little love, we'll make your carpets and upholstery look like new again! Imagine how the furniture looked when you first bought it. Or how luxurious that upholstery felt. We can restore that magic. You can have beautiful & clean upholstery again! If you're not completely satisfied with your newly scrubbed carpets, we'll return at no charge to make you happy. Simple as that. At The Cavalry, your satisfaction is our top priority! General Quotes: Unsure of how much carpet or upholstery cleaning will cost for your home or office? The Cavalry offers free online or over-the-phone estimates. Simply state the size and the material of the area that needs cleaning, and a The Cavalry cleaning associate will give you an estimate. 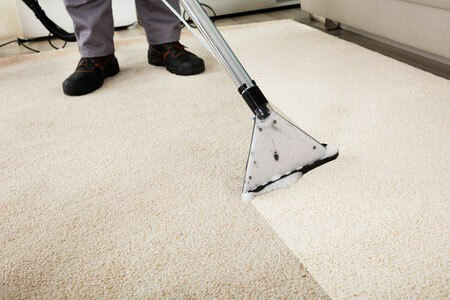 Carpet Cleaning: Our cleaning technicians pride themselves on their thorough carpet cleaning techniques. Steam cleaning, stain removal, spot cleaning and carpet protection services are available for any room in your home. Upholstery Cleaning: Our cleaning technicians are highly trained to steam clean a large variety of upholstery items. We also offer professional leather cleaning services to remove stains and dirt from your valuable leather furniture. Special Indian cotton cleaning services are also available. Fantastic job as always and a great guy to have in your home!